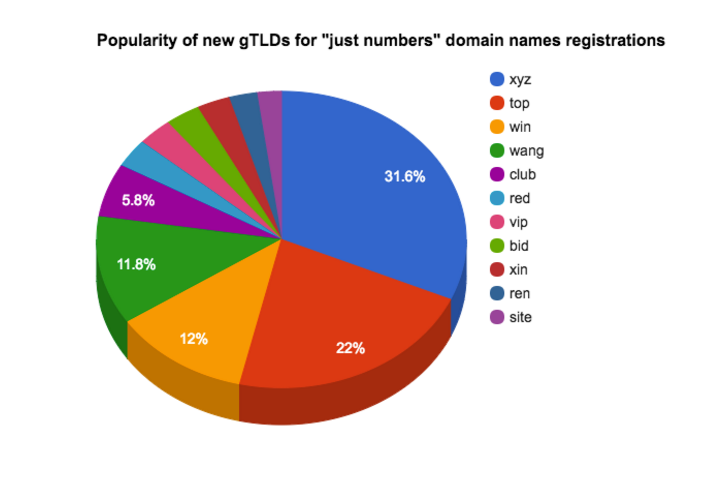 While I was surfing over some article regarding SEO recently, I got somehow to this article: One in seven new gTLD domain names are actually just numbers. 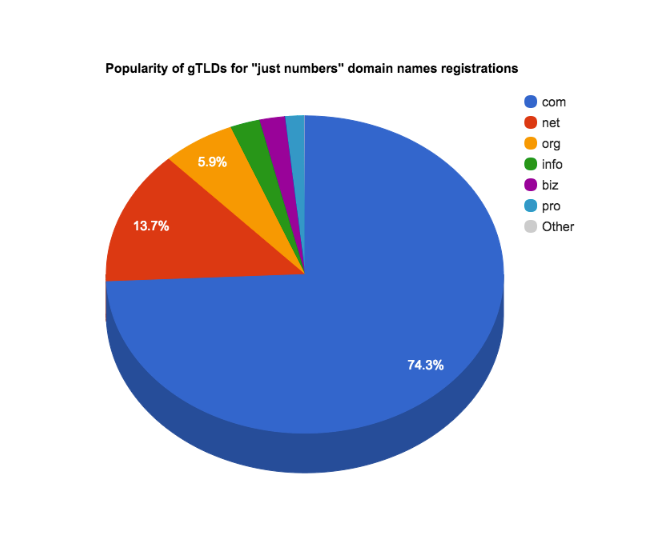 I found it very interesting and having our database on my hands I decided to go a bit deeper than Kevin Murphy and analyze all types of gTLDs, not only the Donuts, new GTLDs ones. First of all, I did a small python script to go through the list we have and get all second level domains with only numbers in their names. I’ve got 1,668,669 names in ccTLDs; 3,870,873 names in gTLDs and 3,392,851 in new gTLDs. In total, we have 8,932,393 domain names containing only numbers out of 271M second level domain names in our dataset, which gives us 3,28% of numeric domain names on average. 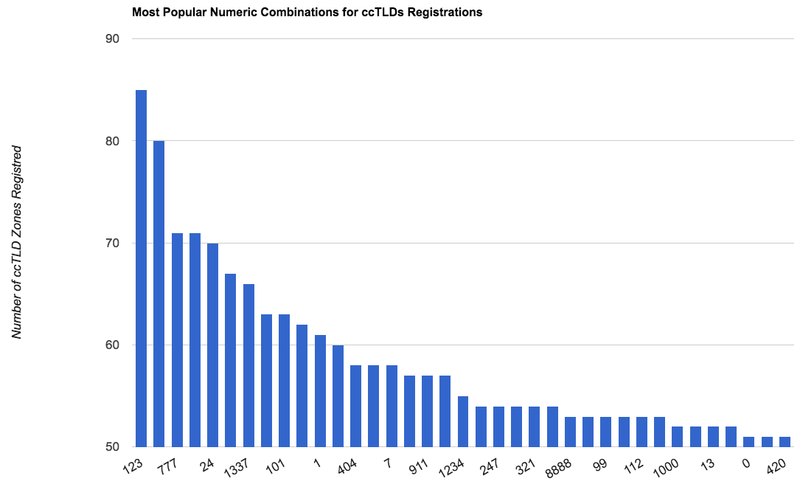 Almost 70% of all numeric ccTLD domain names are registered in China (.cn), which is understandable and as it was in original article “due to the fact that digits are the only 10 characters permissible in DNS that Chinese speakers natively understand”. Sometimes it’s understandable, like typing and remembering domain names written in Latin letters giving a hard time for Chinese users. Therefore in China domain names written in numerals are spread wisely. The name of each digit is similar in sound to a particular word, so just remember these combinations. For example, the name of the number “five” in Chinese sounds the same as the word «I» (I or me), and “six” – as a “stream» (stream). A great domain name for the video streaming site – 56.com, literally “I stream”. 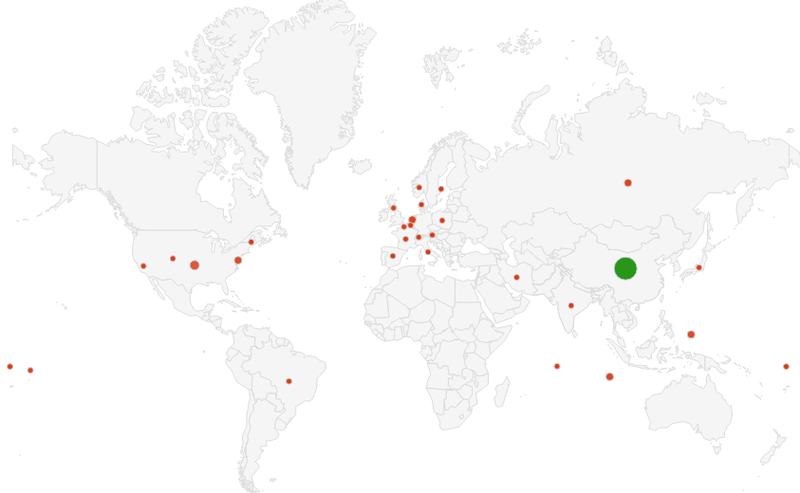 However, for the rest, .us, we may want to figure out the reason and why it is popular. 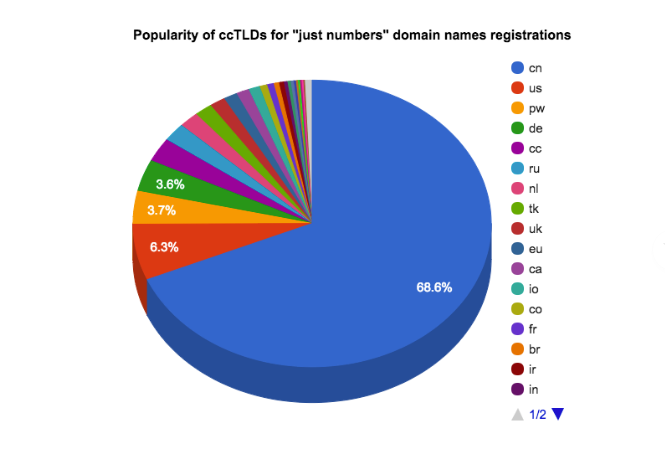 As you can see in absolute numbers popularity of numeric domains for ccTLDs is pretty unpredictable, based on countries mentality and subject for future crawling research. Next obvious question here will be what’s inside that numbers, what’s kind of names are inside that numbers, so I made a chart of most popular one’s numeric names. 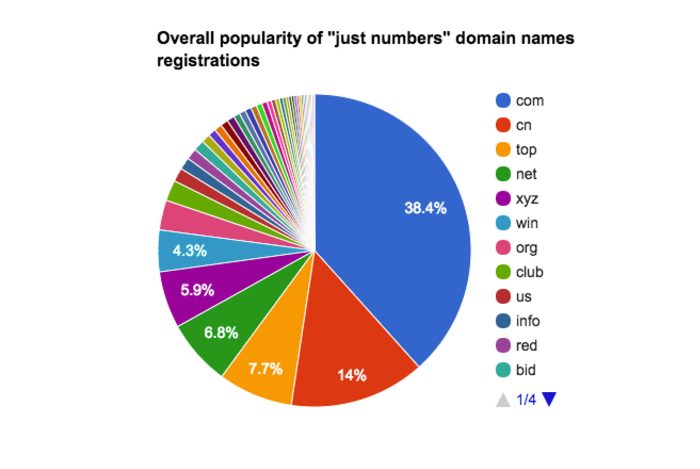 For traditional gTLDs, there is only one combination registered in all of them (“1000”). And don’t want to overfill article with not so attractive data, so if it’s needed you can download it. What’s the next step? First of all, in the next article, we will do zones filling analytics, but for numeric domains only. We will combine the list of available numeric only combinations and by comparing it with the most popular ones will find out in which zones they still are not registered. Then, I’m going to crawl the most interesting zones to found some data about websites itself, to figure out what they used for, why the name contains only numbers, make some assumptions and predictions.